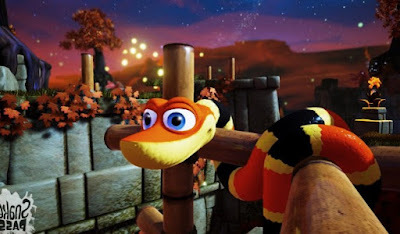 Home / Game Update / Trending / Snake pass Nintendo switch :Snake pass compared on Nintendo switch and PlayStation platform. Snake pass Nintendo switch :Snake pass compared on Nintendo switch and PlayStation platform. This is not a competition, the engineers for both consoles did a very wonderful job by providing us with such creative, addictive puzzle game like Snake Pass. Since this game hit the Nintendo Switch this week, the Nintendo switch has since recorded some lovely direct-feed footage from fans round the world, giving them something to gaze at before making a purchase. However, if you'd like to see how the Switch version compares to the PS4 edition then you might want to check out this short comparison clip. As you can see, the difference between the two isn't all that striking, which bodes well for future cross-platform ports on Switch in the future.